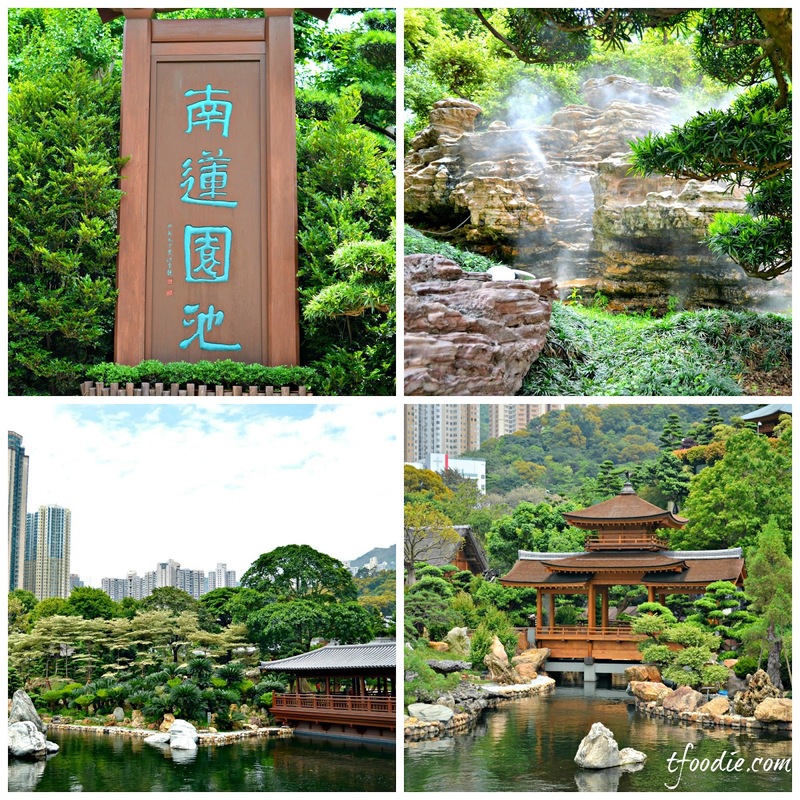 Beautiful and relaxing gardens surrounded by the hustle and bustle of Hong Kong. 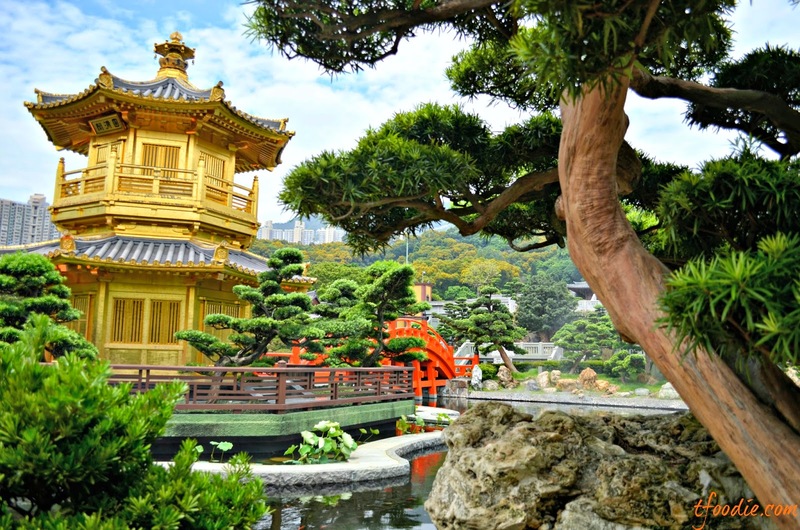 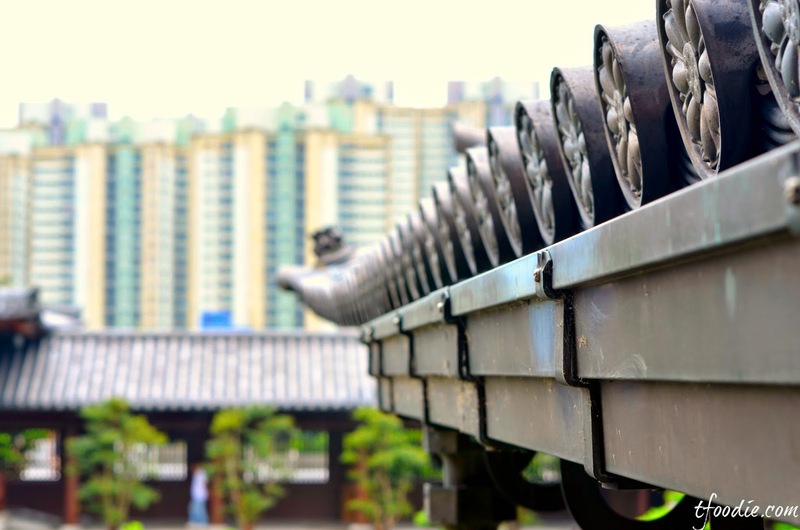 A definite must-do in Hong Kong is take the MTR and head all the way to Diamond Hill where the Chi Lin Nunnery and Nan Lian Gardens are located. 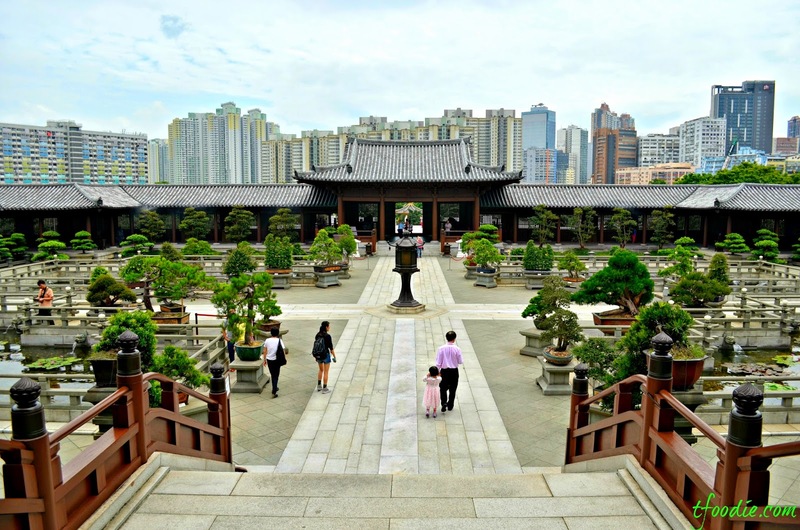 The Nan lian Gardens are a public park designed following Tang Dynasty principles: artfully arranged rocks, trees, bridges and wooden pavilions. 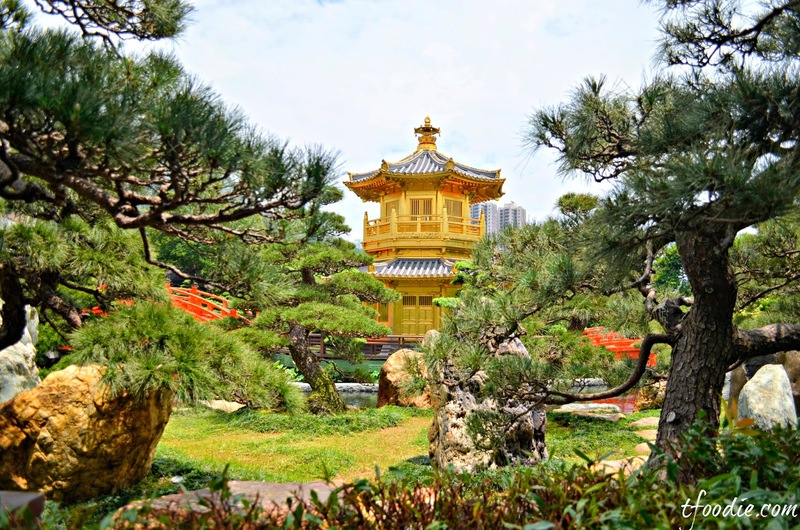 The gardens cover an area of 35000 square metres and, although being built recently, its architecture and landscaping give visitors a sense of serenity and tranquility, promoting the knowledge and interest in classical Chinese culture. 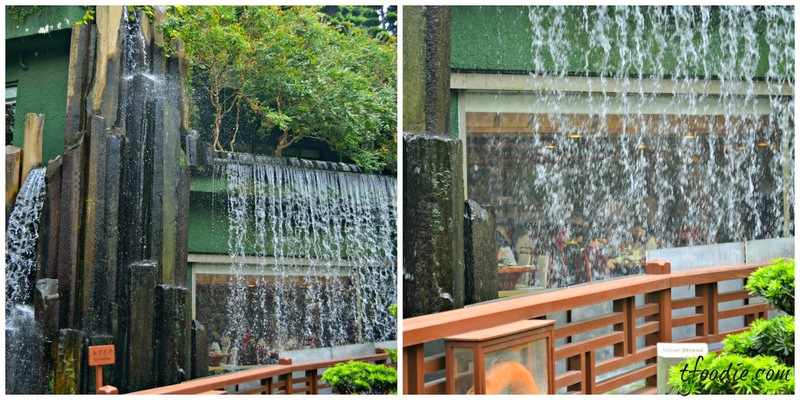 If you follow the circular path you will be able to admire most of the park's beautiful spots and you will also pass by the restaurant, hidden behind an artificial waterfall, offering vegetarian dishes at not-so-high prices. 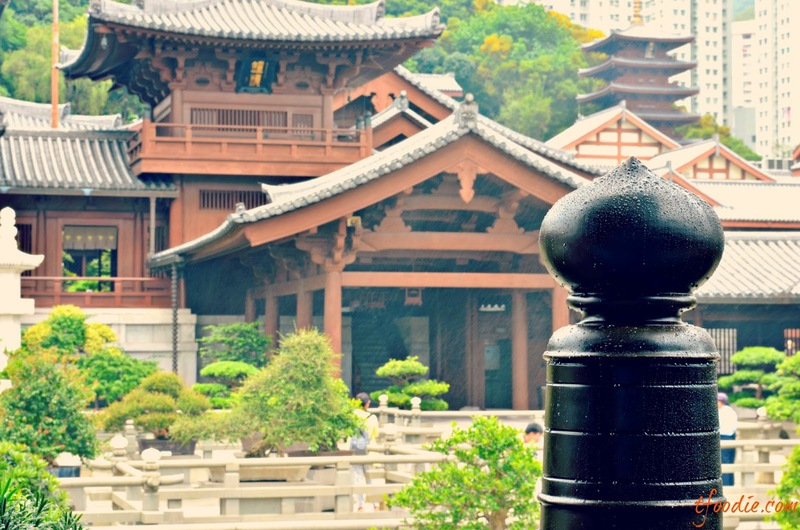 When you're done with the walk through the gardens, and you have reached a level of relaxation that made you forget you are actually in busy Hong Kong, you can visit the beautiful Chi Lin Nunnery, overlooking the gardens. 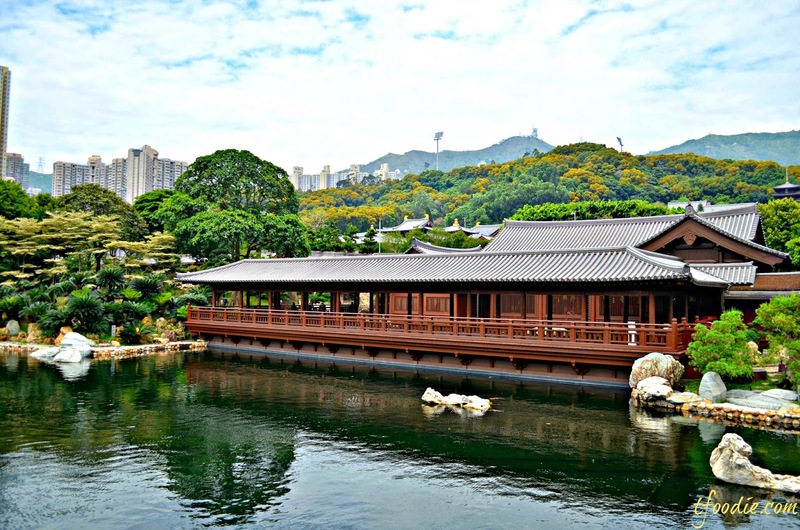 The Nunnery is a large wooden temple complex, established in 1934 and re-opened in 2000 and it's a replica of a Tang Dynasty place of worship. 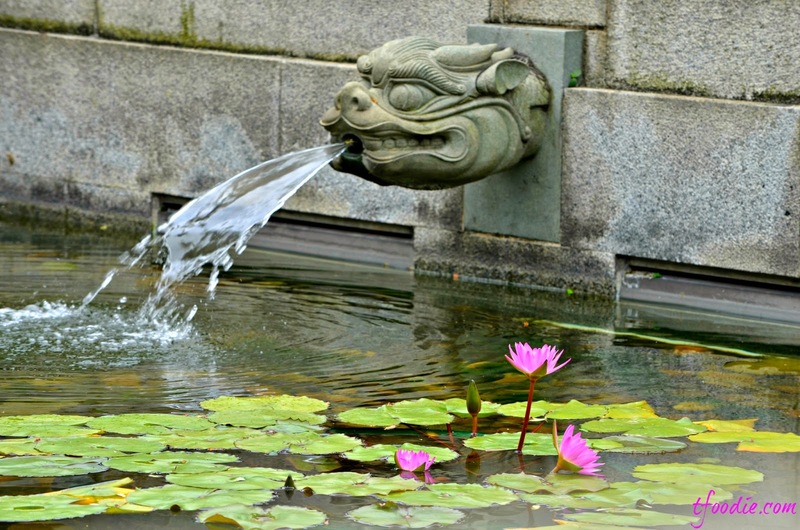 It hosts an impressive statue of Sakyamuni Buddha and a courtyard filled with bonsai trees and lotus ponds. 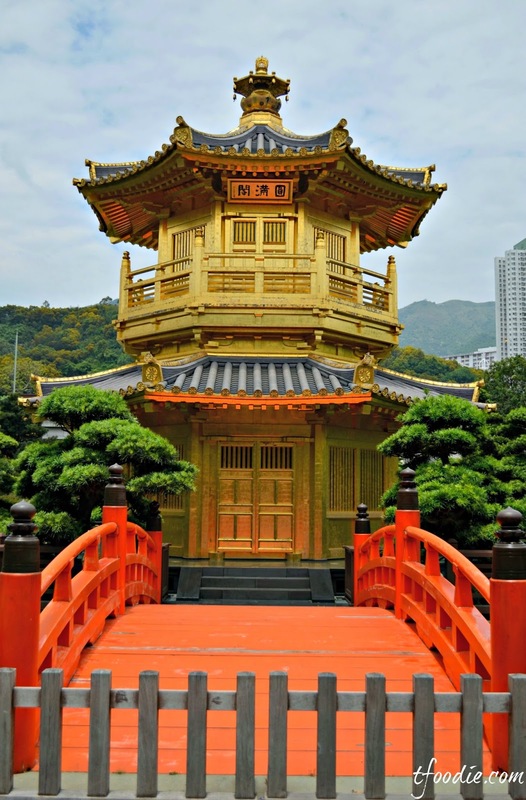 Its wooden frame has been rebuilt without using any iron nails, this is intended to demonstrate the harmony of humans with nature. 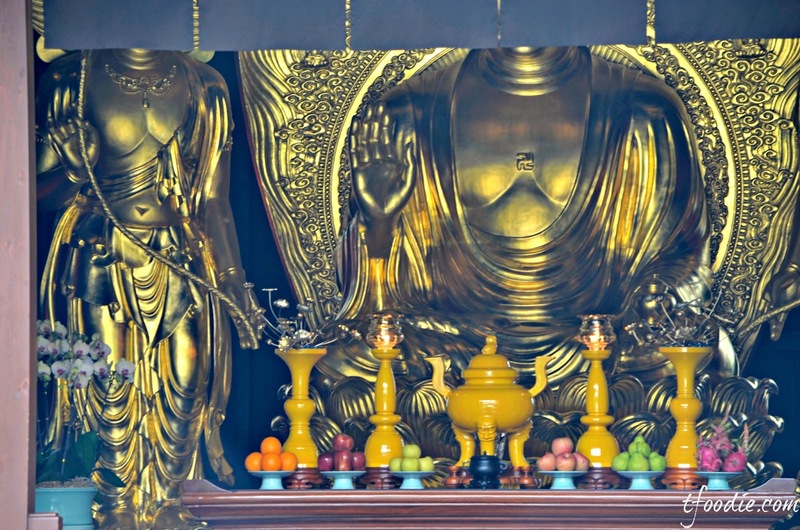 Since its establishment, the nunnery has been contributing to the promotion of religion, culture and education It has always been the commitment of Buddhist monasteries to promote and contribute to the arts and humanities in the many fields of architecture, painting, sculpture and philosophy. 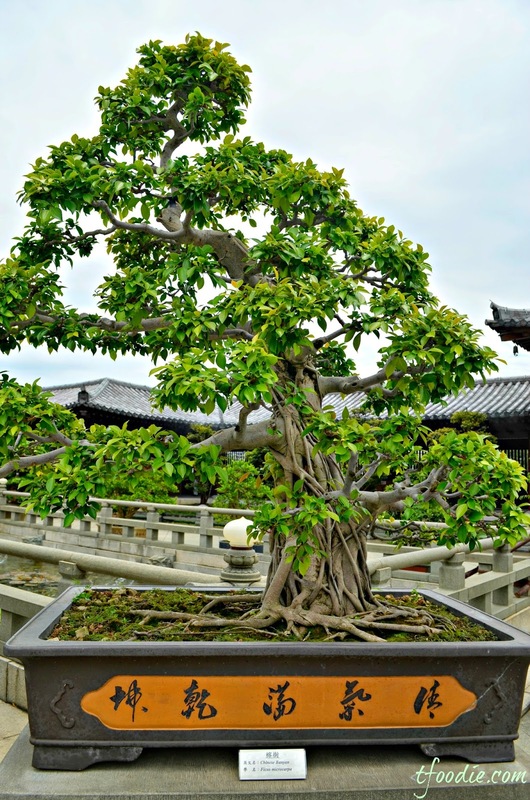 To landscape gardening as well, since it is a harmonious dialogue between nature and nurture, and an embodiment of philosophic contemplation of life in an aesthetic form. 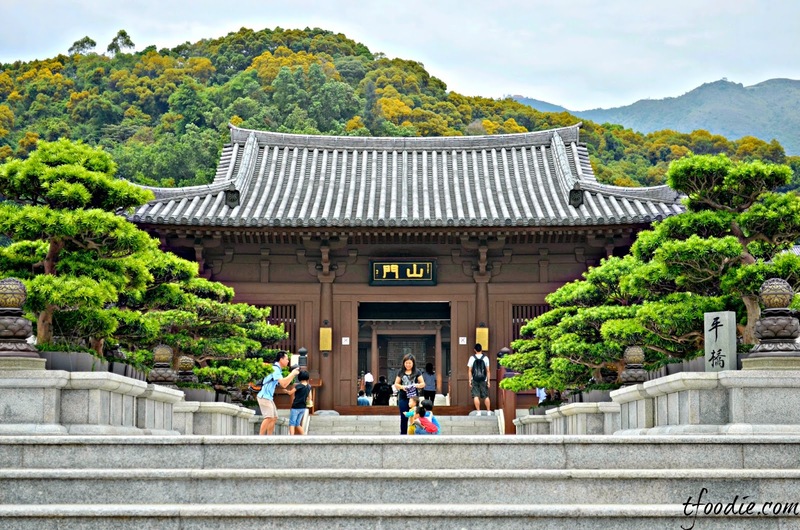 You enter the complex after the gardens through the three gates or Sam Mun , which represent the 3 Buddhist precepts of compassion, wisdom and ‘skilful means’. 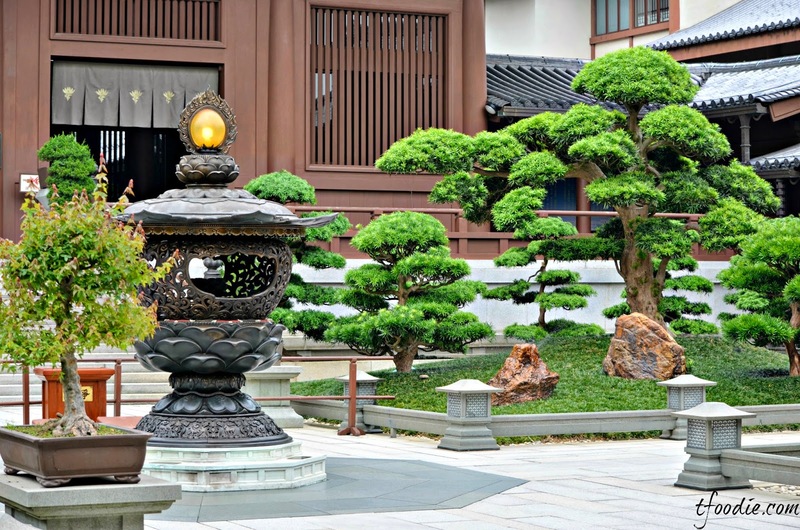 After the first courtyard, where the bonsais and the lotus ponds are, you'll find the Hall of Celestial Kings, with a large statue of a seated Buddha surrounded by the deities of the four cardinal points. 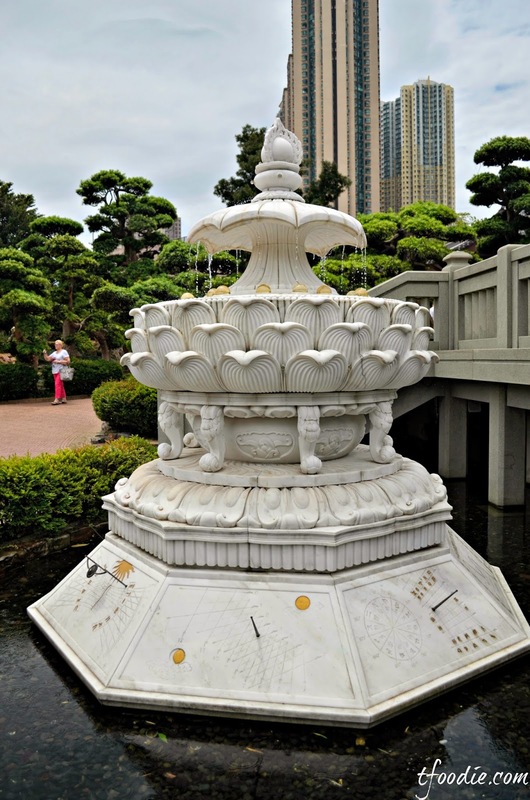 Fonts: Nan Lian Gardens website, Lonely Planet guide to Hong Kong, Top Ten Hong Kong DK Witness guide.